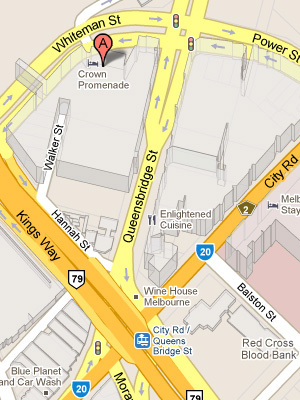 Rockpool Bar and Grill first arrived in Melbourne a few years ago. 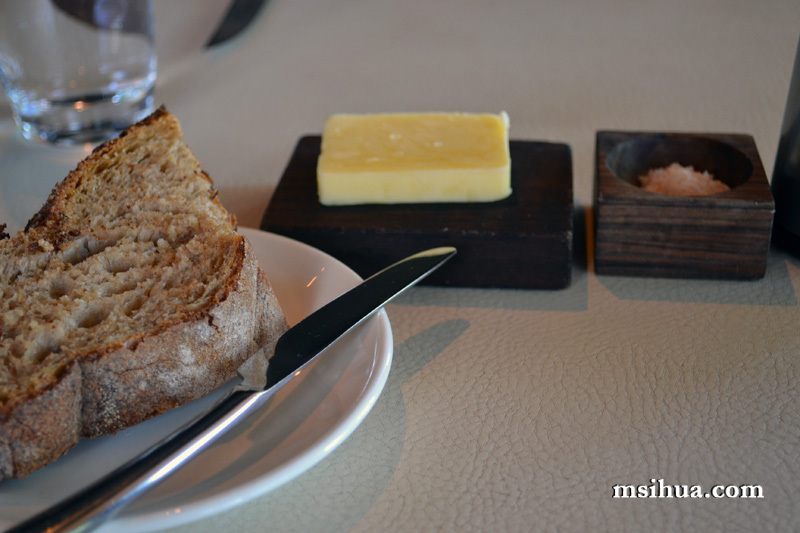 Located prominently in the expensive end of the Crown Casino complex, we of course visited it as soon as it opened (before blogging days)… from memory the food was good and the cherry trifle dessert I had eaten was delicious. Neil Perry can’t go wrong with desserts (for me). So at the end of last year (I know this post is very late! 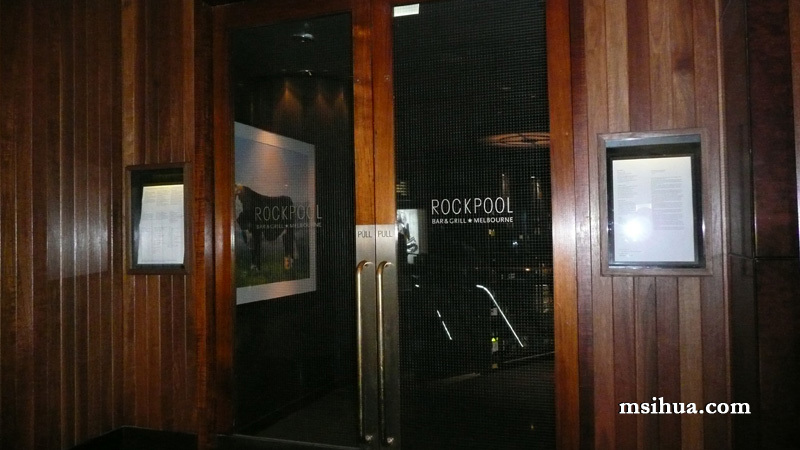 )… we decided to revisit Rockpool with fresh new eyes. It was a beautiful sunny warm day (a miracle for the summer that just went by) and we were seated right next to the window overlooking the Yarra and the blue blue sky. Our waiter approached us and informed us of the items on the menu whilst we placed our drinks order. 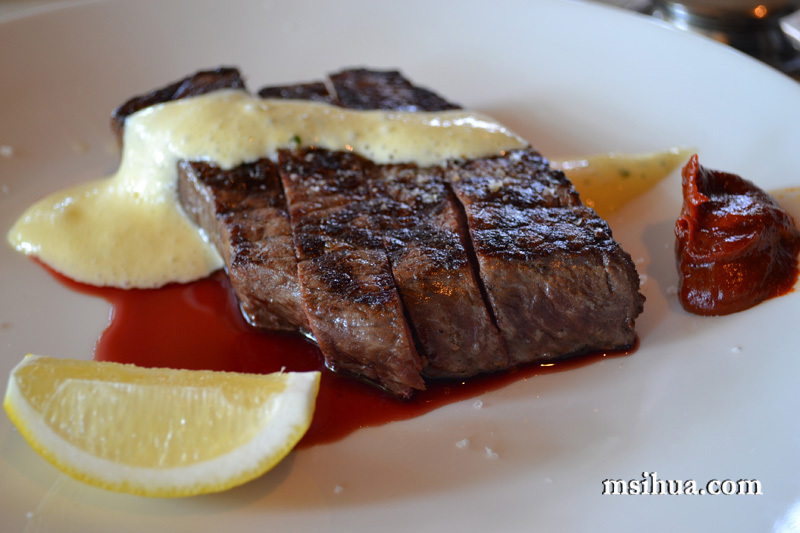 The Boy ordered a David Blackmore Full Blood Wagyu (9+ marble score) – Topside 240g (30 days) for $49 served with selected Bearnaise sauce and Harissa sauce. He declared the wagyu very good (cooked perfectly) and the Harissa sauce went really well with the meat. It was a win for him. 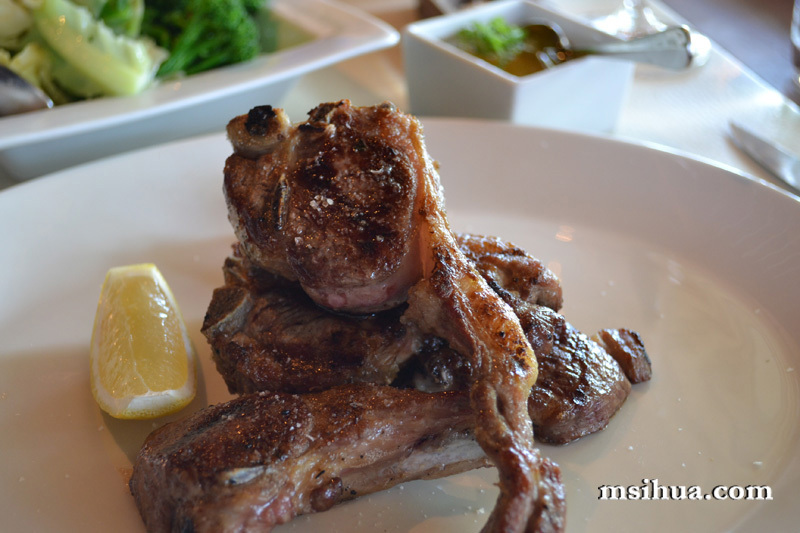 I orderered the Wood fire grilled grass fed Lamb Cutlets and Chops from Brian Croser’s Mayland Farm served with mint jelly at ($40). For the price, I was expecting a lot more than just the cutlets sitting piled on my plate. Perhaps some greens to brighten up the presentation. It just looked very lonely with the lemon wedge. Whilst the lamb was good, it wasn’t the best I’ve ever had. The best lamb I’ve ever eaten was when Phillipe Mouchel was still at The Brasserie. The closest second best lamb has been at the Lake House. 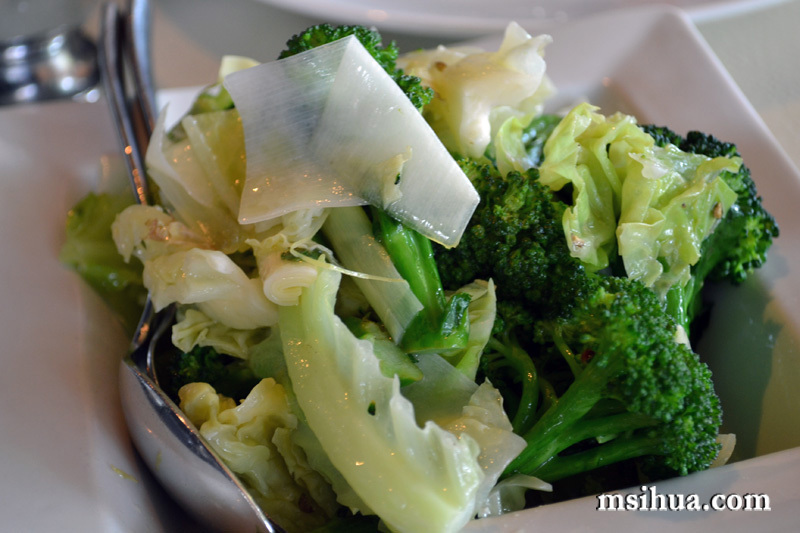 To go with our mains, we ordered a side of Boiled mixed greens with extra virgin olive oil and lemon ($10). For dessert, I ordered the Peanut, Caramel and Chocolate tart with Chocolate cream soda ($14) and felt as if I was taken back in time through my childhood. 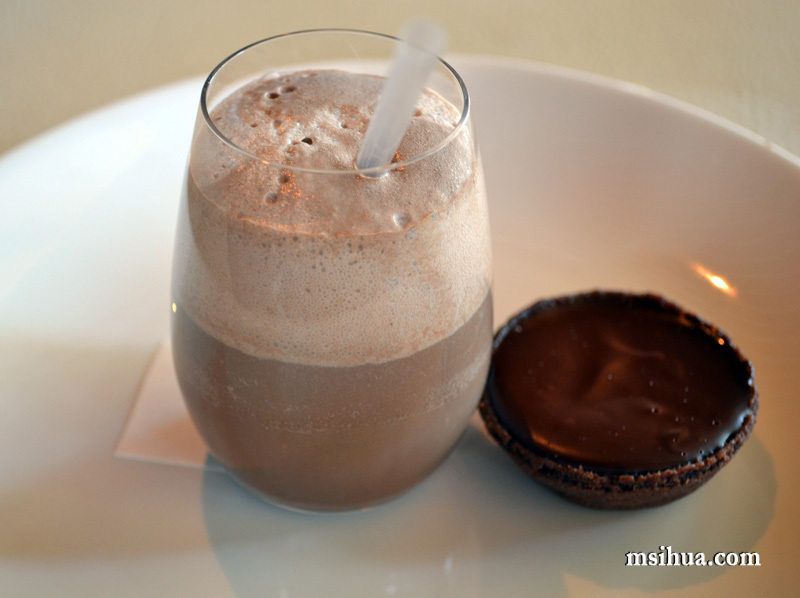 Remember having chocolate ice-cream in ice-cream soda? Floats of lovely childhood memories. And that chocolate tart… so beautifully dark… a bittersweet temptation. 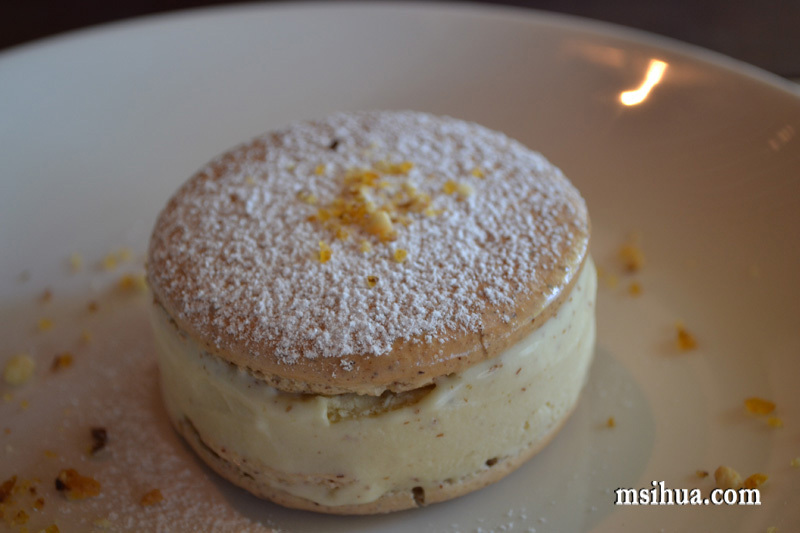 The Boy had the Hazelnut Macaron and Banana ice cream sandwich ($12). Look at it … a perfect shiny mound of banana goodness. Yeah I know! I think Neil Perry should open up a dessert cafe! I would definitely go!!! !